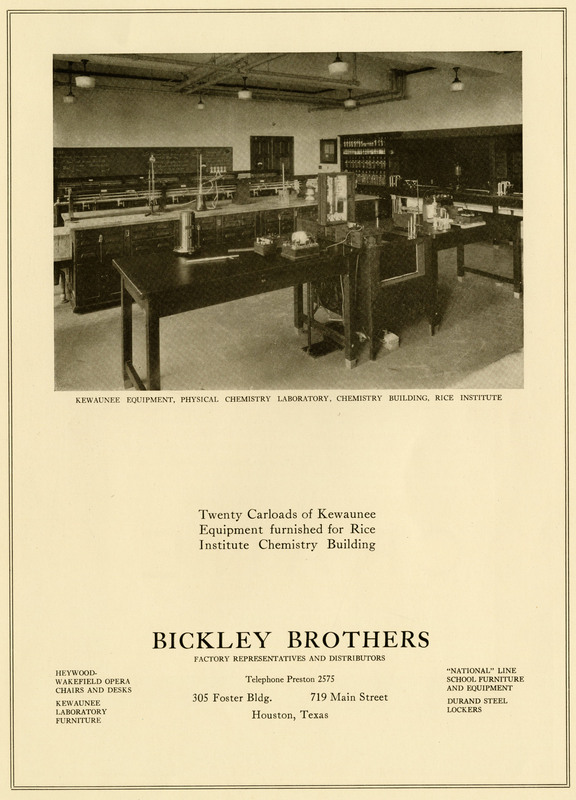 I was looking for some information about the original field house this morning when I very unexpectedly came across this advertisement for the company that supplied the lab furniture and equipment for the Chemistry Building. It’s still in business, with an interesting history. I wish I could have seen them unload it. 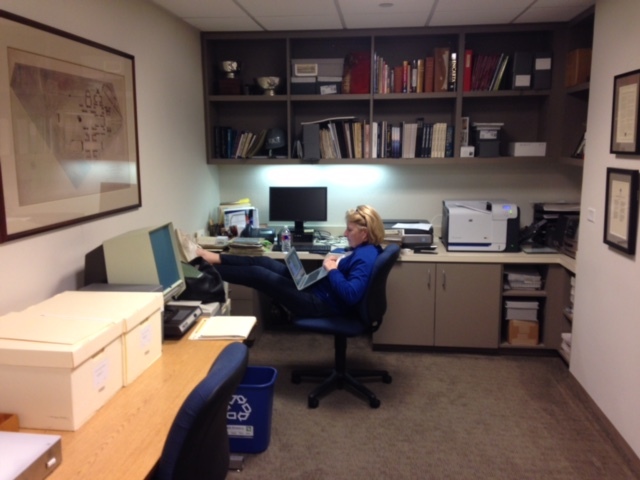 Bonus: A stealthy coworker took this of me laboring away in the actual Rice history corner. This is how it’s done, folks. That typing position doesn’t look any too ergonomic! No, it sure doesn’t. I spend most of the time just staring at pictures.